• SEE THE GIG PAGE FOR DETAILs of all sorts of gigs, events & happenings. There's a new video of our song 'George Orwell Meets The Commoners On The Road To Wigan Pier', filmed up in the Yorkshire Dales when snow lay thick on the ground and we went yomping across the hills armed with map, compass and flag. It's on our YouTube Channel, have a look. 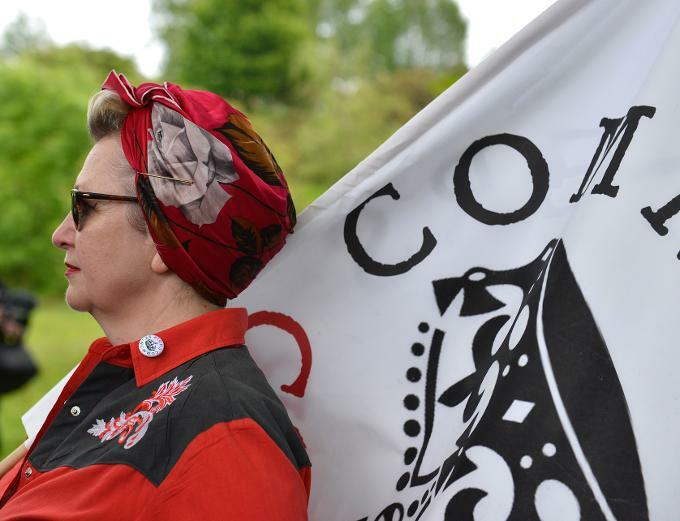 Shoot straight over to the Writing page for an exhaustive (and possibly exhausting, get yourself a cup of tea before you start...) round-up of how 2018 dealt with Commoners Choir. 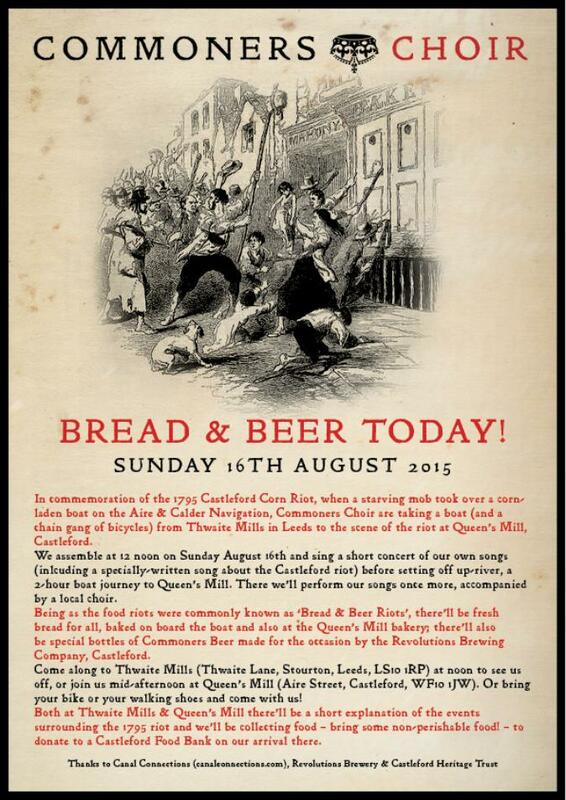 Essays on gigs, events, rehearsals and what-have-you by a wide assortment of Commoners. ...and is a detailed look at how this bunch of ne'er-do-wells came together almost three years ago to sing 'Get off your arse!' and walk up some big hills, all in the grand tradition of William Morris, the Clarion Clubs, and countless other determined folk. 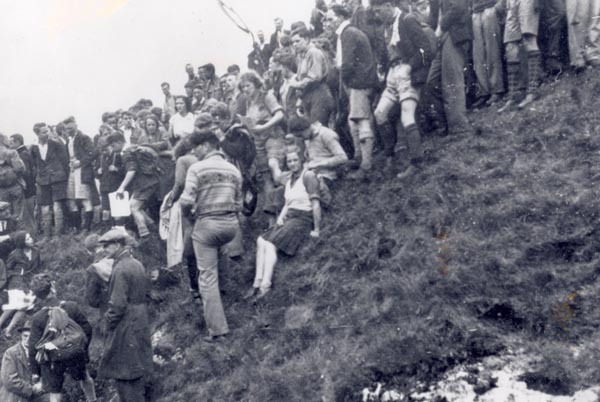 The 1932 Mass Trespass at Kinder Scout. Walkers stop near the summit to listen to some stirring speeches. 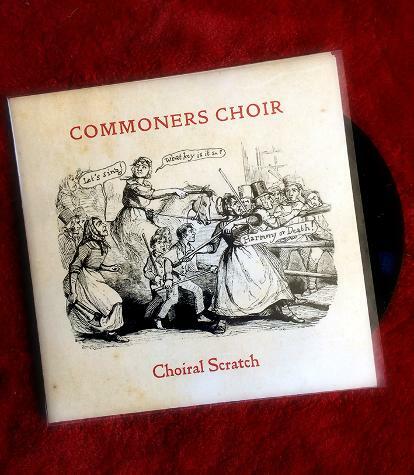 Commoners Choir also have a Facebook page (where we post news of upcoming events etc) and a YouTube Channel (full of videos and short documentaries about what we've been up to). We are a strange yet open and inclusive choir that meets in leeds. We come from all over the place, and try to act more like a band or a gang than a choir. we sing our own songs, about the world immediately around us, about inequality, hope, and tory politicians. we have an album available for purchase here on our shop page. for more information about us, about who we are and what we do, look around the website and visit our facebook page. if you're interested in joining the choir, drop us a line via the contact button above. 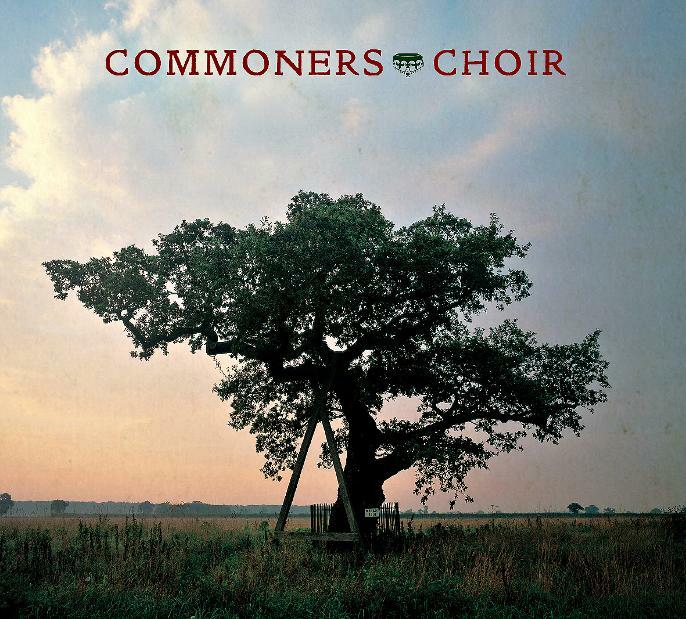 Commoners Choir's debut album now in the shops. also available to order direct from our online shop. happy to say that the commoners choir tour of libraries was a real success (in whatever way you want to measure it). There's a write-up of it here. 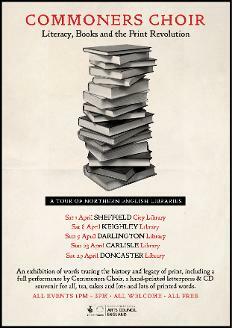 (ABOVE) A SHORT FILM by phil moody OF COMMONERS CHOIR'S tour of northern english libraries. (above) 'mechanical movable type' • a short film of commoners choir's event at leeds central library, november 2016. 'three boats' by commoners choir, october 2015.
song written by boff whalley, performed by commoners choir –animation by josh sutton. FOR AN ACCOUNT OF THE castleford boat trip, ALONG WITH PHOTOGRAPHS AND A SHORT DOCUMENTARY FILM OF THE DAY, SEE REHEARSAL/PERFORMANCE. FOR AN ACCOUNT OF THE MAGNA CARTA COMMEMORATION EVENT, ALONG WITH PHOTOGRAPHS AND A SHORT DOCUMENTARY FILM OF THE DAY, SEE REHEARSAL/PERFORMANCE. writings, blogs and rants about commoners performances - as they happen - can be found on the writing page.